Sure enough, in response to patriots’ giving Cruz rave reviews for speaking truth to Washington power, Ned ripped into Cruz about questionable votes. Folks, I realize Ted Cruz is not perfect. But then, which presidential candidate is? Jesus is not running for president in 2016. 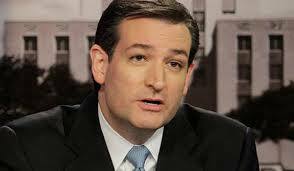 In his speech, Cruz did two things that were quite remarkable. First – Cruz exposed the good-cop, bad-cop personal and corporate enrichment scam both parties have been playing on the American people. Second – Cruz spoke with unprecedented clarity. He did not say McConnell misspoke or McConnell was disingenuous. Cruz said McConnell lied. This entry was posted in Politics and tagged 2016 Election, Amnesty, Barack Obama, Congress, Constitutional Conservatives, Democrats, Donald Trump, GOP, House, Illegal Immigrants, Liberals, Lloyd Marcus, Media, Mississippi, Mitch McConnell, Obamacare, Patriots, Politics, Racism, Republicans, Senate, Tea Party, Ted Cruz, Thad Cochran, Welfare. Bookmark the permalink.